Give your team a direct line to your equipment. Avoid the back-and-forth, and let users reserve gear that is available. Check out equipment and just scan QR code labels for instant and accurate data entry. All from your mobile device, no more paperwork or any equipment checkout form required! 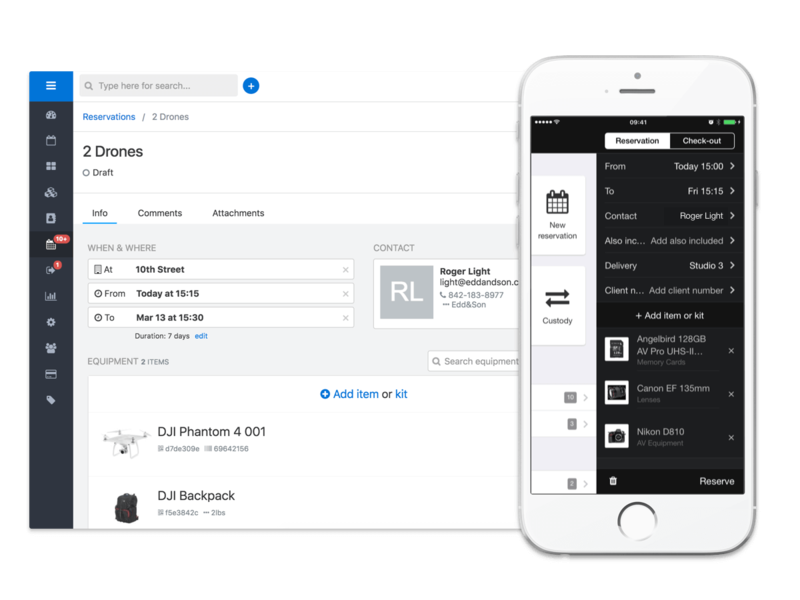 Control your equipment from your smartphone and check in/check out assets on the go. With around-the-clock access from anywhere and any device. You can do it whenever you want, in real-time! Enable and use self-service check in of your equipment. Simply let all your users create their accounts and login to make checkouts themselves! Book equipment anytime. No more scribbled notes, hasty emails, or miscommunications. Book new reservations or make quick changes in just a few taps on the asset tracking app on your phone. 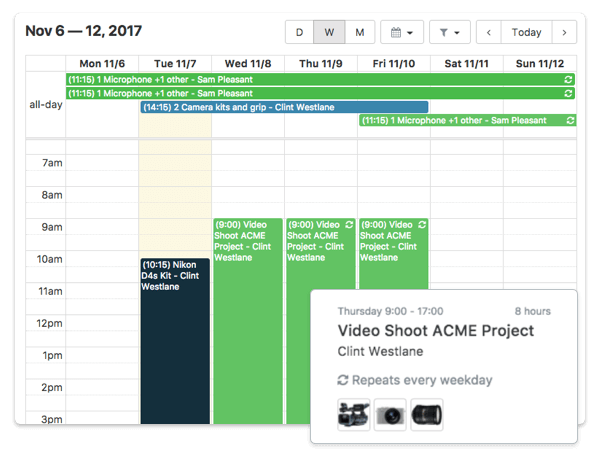 Sync CHEQROOM with your iCal or Outlook to see all bookings in one place. No more confusions. Grant system access and responsibility to users you designate; allow for max. accountability & security. Instant and self-service access let you share tasks with your team and do the job in the simplest, most flexible way possible. 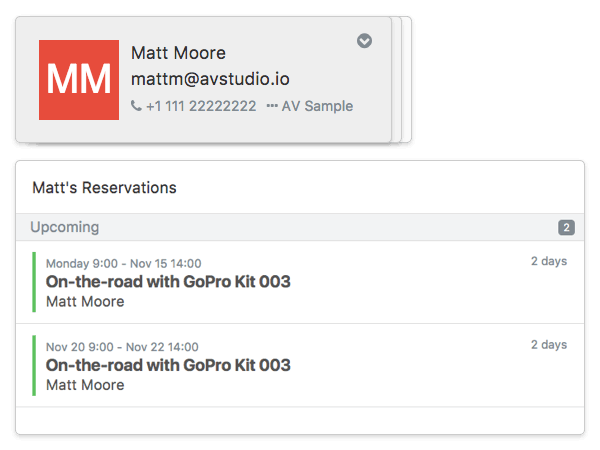 Allow team members to make their equipment bookings saves time and encourages them to work more independently and responsibly. Our asset tracking software updates the schedule in real time: know instantly what equipment is onsite, checked out and due back. 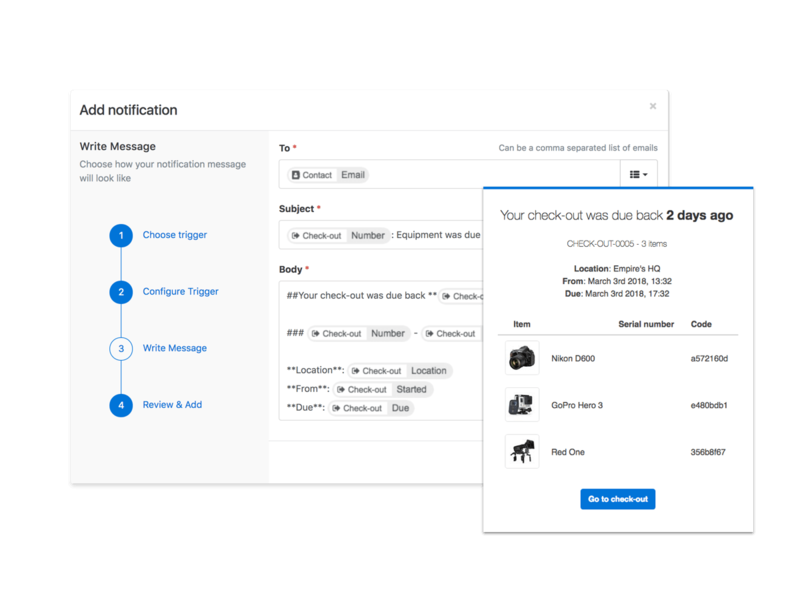 Send automated emails and mobile notifications for due items. No more chasing down AWOL equipment. Get instant notifications in your Slack channel whenever someone books an item. 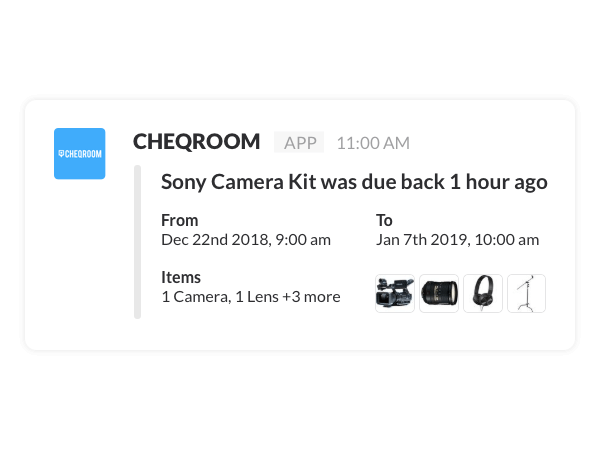 Get notified when equipment is late and start a conversation with the person who checked it out.